Aspergillus niger is a member of the genus Aspergillus which includes a set of fungi that are generally considered asexual, although perfect forms (forms that reproduce sexually) have been found. Aspergilli are ubiquitous in nature. They are geographically widely distributed, and have been observed in a broad range of habitats because they can colonize a wide variety of substrates. A. niger is commonly found as a saprophyte growing on dead leaves, stored grain, compost piles, and other decaying vegetation. The spores are widespread, and are often associated with organic materials and soil. The primary uses of A. niger are for the production of enzymes and organic acids by fermentation. While the foods, for which some of the enzymes may be used in preparation, are not subject to TSCA, these enzymes may have multiple uses, many of which are not regulated except under TSCA. Fermentations to produce these enzymes may be carried out in vessels as large as 100,000 liters (Finkelstein et al., 1989). A. niger is also used to produce organic acids such as citric acid and gluconic acid. The history of safe use for A. niger comes primarily from its use in the food industry for the production of many enzymes such as aamylase, amyloglucosidase, cellulases, lactase, invertase, pectinases, and acid proteases (Bennett, 1985a; Ward, 1989). In addition, the annual production of citric acid by fermentation is now approximately 350,000 tons, using either A. niger or Candida yeast as the producing organisms. Citric acid fermentation using A. niger is carried out commercially in both surface culture and in submerged processes (Berry et al., 1977; Kubicek and Rohr, 1986; Ward, 1989). A. niger has some uses as the organism itself, in addition to its products of fermentation. For example, due to its ease of visualization and resistance to several antifungal agents, A. niger is used to test the efficacy of preservative treatments (Jong and Gantt, 1987). In addition, A. niger has been shown to be exquisitely sensitive to micronutrient deficiencies prompting the use of A. niger strains for soil testing (Raper and Fennell, 1965). There is also interest in using this fungus to performcertain enzymatic reactions that are very difficult to accomplish by strictly chemical means, such as specific additions to steroids and other complex rings (Jong and Gantt, 1987). As is the case of many fungi, the taxonomy of Aspergillus is primarily based on morphological features, rather than the physiological, biochemical features and genetic characteristics often used to classify bacteria. The genus Aspergillus is usually defined as asexual saprophytic fungi that produce large black or brown conidia by phialides that are arranged in a globose head radiating from a vesicle or spherical conidiophore. This definition leads to inclusion of a complex assortment of organisms within the taxon. This is illustrated by the 132 species arranged in 18 groups by Raper and Fennell (1965) due to overlapping morphological or physiological characteristics. Aspergillus niger is both a species and a group within the genus Aspergillus. The morphological approach to taxonomy has led to the existence of several synonyms for the genus Aspergillus. They are: Alliospora Pim; Aspergillonsis Spegazzini; Cladaspergillus Ritg; Cladosparum Yuill and Yuill; Euaspergilus Ludwig; Gutturomyces Rivolta; Raperia Subramaniam and Grove; Sceptromyces Corda; Spermatoloncha Spegazzini; Sphaeromyces Montagne; Sterigmatocystis Cramer; and Stilbothamnium Hennings (Bennett, 1985). Raper and Fennell (1965) designated 15 species as comprising the Aspergillus niger group, which includes all of the aspergilli with black conidia. There have been suggestions to subdivide further (AlMusallam, 1980), but currently the concept of retention of the A. niger group based on black conidia seems dominant (Kustersvan Someren et al., 1990). More sophisticated means of treating the classification of fungi have been attempted. Mullaney and Klich (1990) reviewed the molecular biological techniques for taxonomic classification studies of Aspergillus and Penicillium which include G + C molar percentage, DNA:DNA complementarity (measuring rate and extent of reassociation of single stranded DNA from two isolates), ribosomal RNA sequence comparison, and restriction fragment length polymorphism. One study of restriction digests of mitochondrial DNA indicated that all the Aspergillus groups examined are related. However, A. niger and A. awamori, both in the niger group, appear less related than would be expected for members in the same group (Kozlowski and Stepien, 1982). Work in the area of DNA homology and relatedness among the blackaspergilli is ongoing at the USDA Northern Regional Research Laboratory in Peoria, IL (Peterson, 1991). More exhaustive use of these and related techniques may give a clearer taxonomic system which will permit better separation of its members. While morphology provides a reasonable means of classification and assignment within the A. niger group, it is not a reliable means for identifying a given isolate from the field. The major distinction currently separating A. niger from the other species of Aspergillus is the production of carbon black or very dark brown spores from biseriate phialides (Raper and Fennell, 1965). Other features include the smooth and generally colorless conidiophores and spores that are ó5 æm, globose, and have conspicuous ridges or spines not arranged in rows. A. niger isolates grow slowly on Czapek agar (Raper and Fennell, 1965). 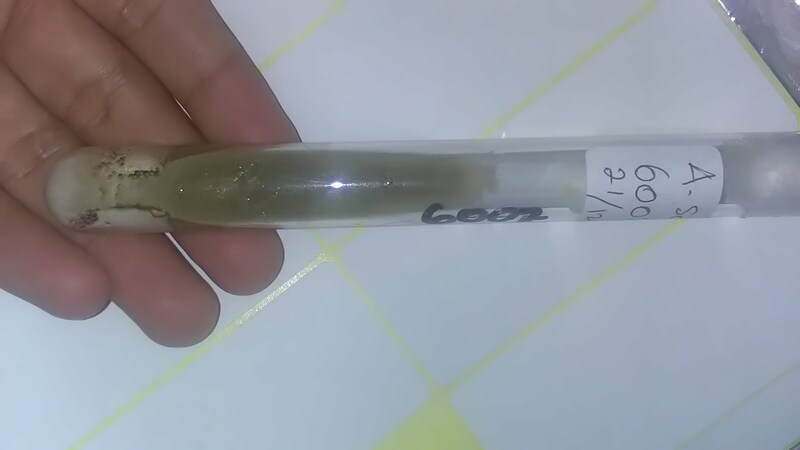 These physical characters such as spore color and rate of growth on a defined media are subject to change, especially under extended pure culture or selection and mutation. Though A. niger is relatively stable to spontaneous mutation compared to other aspergilli, variation in morphology may still be a problem with some strains (Raper and Fennell, 1965). Thus this species may be misidentified with other Aspergillus spp. Nomenclature problems of the genus Aspergillus arise from their pleomorphic life cycle. The newer findings show that this group of fungi has both a perfect (teleomorphic) and an imperfect (anamorphic) state. The International Code of Botanical Nomenclature provides a system of 76 mandatory rules (Articles), and also Recommendations, to promote nomenclature stability (Hawksworth, 1990). In a retrospective revision of the rules concerning fungi with pleomorphic life cycles, Art. 59, adopted by the 1981 International Botanic Congress (Voss et al., 1983), the decision was reached that "even if a species name was proposed under an anamorphic generic name, if the description and the type included the sexual ascosporic stage, then the name had to be applied to the teleomorph and was no longer available to the anamorph, the conidial state" (Hawksworth, 1990). Article 14 of the Code provides for conservation procedures to avoid disadvantageous changes in well-known family and generic names due to strict application of the code. To avoid confusion, for economic or public health reasons taxonomists make exceptions to their rules. Thus, conservation of well-known names was also allowed for "species of major economic importance" (Art. 14.2) at the 1981 International Botanic Congress (Voss et al., 1983). Frisvad et al. (1990) pointed out that of the two obviously threatened names in the taxonomy of Aspergillus, A. niger van Tieghem is one of greatimportance. With this in mind Hawksworth (1990) recommended that the Aspergilli be included in a pilot study for the "List of Names in Current Use" initiative that could lead to formal adoption if sanctioned by the International Commission on the Taxonomy of Fungi. If the rules for naming are rigorously applied, A. niger might disappear as a legitimate name, causing great commercial confusion. AlMusallam (1980) stated that there are two species described in the last century, A. phoenicus (Corda) Thom (1840) and A. ficuum (Reichardt) Hennings (1867) accepted as valid species by Thom and Raper (1945) and again by Raper and Fennel (1965) that are the same as A. niger, or that is a variety of one of them. However, Frisvad et al. (1990) believe that a clear case exists for conserving the name A. niger, because A. niger is "the source of commercial production of citric acid and other organic acids around the world, and clearly of major economic importance." The earlier names have been used only rarely in modern publications. Thus, possible revision of the taxonomy of Aspergillus does not seem to include replacement of A. niger for the foreseeable future. Thus, while the name A. niger seems secure for now, the organisms to which it applies still represent a complex amalgam of morphologically related isolates. Those collections that take care to control conditions of culture and apply rigorous methods during identification should be able properly identify strains as belonging to this species. However, that does not guarantee that all strains properly called A. niger will share most physiological properties. The ones most likely to be well defined are those having long histories in culture, especially commercial culture, where the knowledge of these physiological properties is important to their maintenance. Since some features of concern for hazard may not be related to the morphological features used for classification, information on the physiology and biochemistry of A. niger strains maintained in culture, as well as their morphology, is useful for confirmation of identity. The taxonomy of Aspergillus has public health implications due to the production of potent mycotoxins by members of this genus. Most notable of these is the association of aflatoxins with members of the A. flavus group (Bennett, 1985b; Semeniuk et al., 1971). A. niger is not a member of that group, generally being distinguishable by color and structure of the conidial head (Raper and Fennel, 1965). Though proper separation among aspergilli requires a trained mycologist and care for proper culture conditions, when this is accomplished there should not beconfusion between A. niger strains and members of the A. flavus group. The growth of the fungus Aspergillus in human tissue or within aircontaining spaces of the body, such as bronchus or pulmonary cavity, is termed aspergillosis (Bennett, 1979a). Exposure to Aspergillus must be nearly universal but disease is rare. The physiological condition of the exposed individual thus appears to be of paramount importance. Patients exhibiting aspergillosis are generally immunocompromised, and thus susceptible to otherwise common and usually harmless microorganisms. Factors that may lead to immunosuppression include an underlying debilitating disease (e.g., chronic granulomatous diseases of childhood), chemotherapy, and the use of supraphysiological doses of adrenal corticosteroids (Bennett, 1980). Pulmonary aspergillosis is the most common clinical manifestation of aspergillosis. The most common symptoms of pulmonary aspergillosis are a chronic productive cough and hemoptysis (coughing up blood). According to a standard medical textbook, "Aspergillus can colonize ectatic bronchi, cysts, or cavities in the lung. Colonization is usually a sequel of a chronic inflammatory process, such as tuberculosis, bronchiectasis, histoplasmosis, or sarcoidosis. A ball of hyphae may form within an aircontaining space, particularly in the upper lobes, and is termed an aspergilloma. The fungus rarely invades the wall of the cavity, cyst, or bronchus in such patients" (Bennett, 1979a). It is not clear what role Aspergillus plays in non-invasive lung disease. Plugs of hyphae may obstruct bronchi. Perhaps allergic or toxic reaction to Aspergillus antigens could cause bronchial constriction and damage (Bennett, 1980). Both the severity of aspergillosis and the patient's prognosis are dependent on the physiologic status of the patient. Invasion of lung tissue in aspergillosis is almost entirely confined to immunosuppressive patients (Bennett, 1980). Roughly 90 percent of invasive pulmonary case patients will have two of these three conditions: severe immunosuppression (less than 500 granulocytes per cubic millimeter of peripheral blood), supraphysiological doses of adrenal corticosteroids, and a history of taking cytotoxic drugs such as azathioprine (Bennett,1980). In addition, the type of disease produced affects the patient's chances for recovery. For example, simple colonization is treatable, but if the simple colonization becomes chronic or invades neighboring tissues, the infection becomes more difficult to treat (McGinnis, 1980). Surgical excision has been used successfully to treat invasive aspergillosis of the paranasal sinus as well as non-invasive sinus colonization. Intravenous amphotericin B has resulted in arrest or cure of invasive aspergillosis when immunosuppression is not severe (Bennett, 1980). Pleural aspergillosis often responds well to surgical drainage alone (Bennett, 1979b). Although Aspergillus fumigatus is the usual cause of aspergillosis (Bennett, 1979b), there have been several recent case reports of pulmonary aspergillosis caused by A. niger. For example, Kierownik (1990) described a 66-year-old man who was admitted to the hospital with pulmonary lesions and cavitation of his lung. Fungi were cultured and the sputum contained fungal forms typical for A. niger complicating a pulmonary abscess in the course of a pneumonia. KorzeniowskaKosela et al. (1990) also describe a pulmonary aspergilloma caused by A. niger. Medina et al. (1989) reported on cases of bilateral maxillary sinusitis and a right pansinusitis. A. niger was implicated in a case described by Louthrenoo et al. (1990), in which an amputation of the right foot had to be performed on a malnourished 70yearold man who presented with a painful black "gangrenous appearing" mass on the right foot. Tissue samples showed not only branching hyphae, but dark pigmented fungal fruiting heads with double sterigmata in which Aspergillus niger was identified. Although Aspergillus niger is regarded as an opportunistic pathogen (Padhye, 1982; Walsh and Pizzo, 1988), an earlier report said that it can cause otomycosis in healthy, uncompromised persons who have no underlying disease (Austwick, 1965). Otomycosis is the name given to the growth of Aspergillus, often A. niger, on ceruman and desquamated debris in the external auditory canal. The condition is benign. Of 159 suspected cases of otomycosis in Nigeria, 36 were specifically confirmed on the basis of demonstrating microscopically fungal structures in epithelial debris plugs and a positive culture (Gugnani et al., 1989). Another 31 cases gave positive cultures but were negative microscopically, and thus were considered of doubtful fungal pathology. Again, A. niger was predominant. Allergens produced by A. niger can produce allergic reactions in humans. When inhaled, A. niger can cause hypersensitivity reactions such as asthma and allergic alveolitis (Edwards and AlZubaidy, 1977). However, only a few instances ofasthma induced by A. niger have been reported. One such instance involved a manufacturing plant in which a specially selected strain of A. niger was being used to ferment molasses to produce citric acid. Both stirred tank and surface methods were being used. Eighteen workers were diagnosed as having occupational asthma; half had IgE antibody to A. niger based on skin and RAST tests. As determined by RAST inhibition experiments using a commercial extract of A. niger, the antigen that caused the sensitization appeared to be peculiar to the A. niger strain used for the fermentation (Topping et al., 1985). In studies on 30 of 83 patients who showed symptoms of bronchial asthma, it was found that skin hypersensitivity to Aspergillus antigens with a high serum IgE to these antigens is indicative of Aspergillus sensitivity. In addition, levels of IgE protein and IgE antibodies specific for eight different allergenic extracts (including Aspergillus) were measured in the serum of persons infected with human immunodeficiency virus (HIV) and HIV negative subjects belonging to the same high risk group. Levels of IgE protein and antibodies were found to be definitively higher in the HIV infected patients (Maggi et al., 1989). Massive inhalation of Aspergillus spores by normal persons can lead to an acute, diffuse, self-limiting pneumonitis. Spontaneous recovery taking several weeks is the usual course (Bennett, 1980). For example, Dykewicz et al. (1988) described the case of a 28-year-old man who developed fevers, cough, shortness of breath and other symptoms several hours after cutting live oak and maple trees. Fungal cultures of the wood chips yielded A. niger along with other Aspergillus species, three species of Penicillium, Paecilomyces sp., and Rhizopus sp. Several immunological techniques were used to show that the Penicillium sp. were probably responsible. Reports such as this illustrate that A. niger, while implicated by its isolation in association with some cases, is not necessarily the causative agent. Aspergillus niger can produce a variety of fungal metabolites, termed mycotoxins, depending upon growth conditions and the strain of the organisms. The mycotoxins include oxalic acid crystals, kojic acid, and cyclic pentapeptides called malformins. The mycotoxins range from moderately to highly toxic in terms of acute toxicity. A. niger produces oxalic acid and kojic acid abundantly. These two products have only a slight acute toxicity. Oxalic acid has an intraperitoneal LD50 of 150 mg/kg in rats and kojic acid has an intraperitoneal LD50 of 250 mg/kg in mice (Ueno and Ueno, 1978). In 1976, Anderegg et al. (1976) reported that a strain of A. niger collected from mold-damaged rice produced a highly toxic metabolite, Malformin C, which they established as the disulfide of cycloDcysteinylDcysteinylLvalylDleucylL-leucyl. When grown on white wheat in a fermentative process, malformin C was highly toxic to newborn rats (LD50 0.9 mg/kg; i.p.) 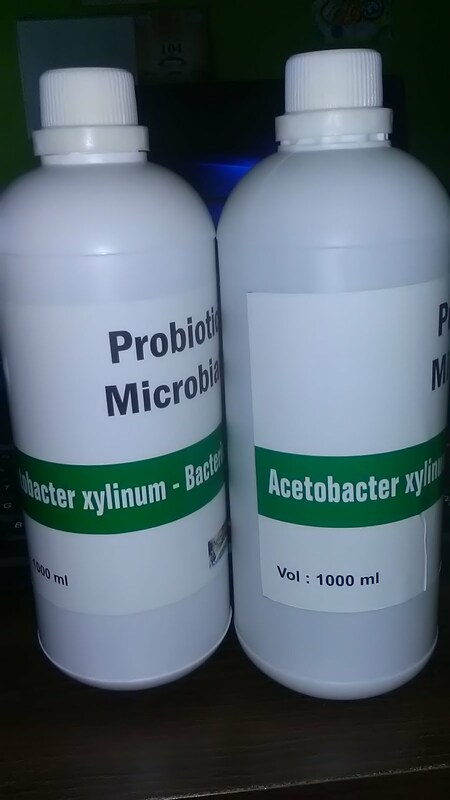 and exhibited antibacterial activity against both gram positive and gram negative bacteria (Ciegler and Vesonder, 1987). Malformin C appears to have more mammalian toxicity than malformin A (Moss, 1977). 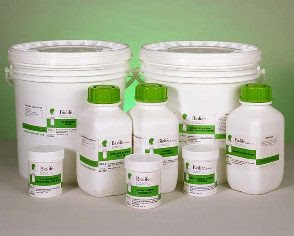 The production of malformins is related to the composition of the growth substrate and usually occurs in stationary phase cultures. While not always true, mycotoxins are generally produced on solid substrates with high carbon/nitrogen solid content (Ciegler and Kurtzman, 1970; Anderegg et al., 1976). For example, malformins are produced when A. niger is grown on onion bulbs (Curtis et al., 1974) and on fermenting grains (Kobbe et al.,1977). A strain of A. niger recovered from mold-damaged rice produced malformin A. A survey to define the number of strains in nature that are malformin producers appears not to have been made. The use of radioactively labeled suspected precursors has helped clarify biosynthetic pathways for some mycotoxins. However, the specific enzymes involved in these transformations, their control and genetics are not always known even for well studied mycotoxins such as aflatoxin (Betina, 1989). The loci involved in mycotoxin biosynthesis have not been genetically mapped at present due to the difficulty of working with an asexual microorganism such as A. niger. Aspergillus niger can interfere with the production of the potent mycotoxin aflatoxin by A. flavus under some conditions. Horn and Wicklow (1983) reported that when A. flavus and A. niger were co-cultured on autoclaved corn kernels, A. niger lowered the substrate pH sufficiently to suppress aflatoxin production. A. niger is not a significant human pathogen. Throughout years of use and widespread exposure to A. niger in the environment, there are only several reports of aspergillosis withA. niger, and in Nigeria, one report of a number of cases of otomycosis. There have been only several reports of allergic reactions, which are not uncommon for aspergilli in general, and not unique to A. niger. A. niger is capable of producing several mycotoxins. However, mycotoxin production appears to be controlled by the conditions of fermentation. Livestock ingesting A. niger contaminated feed have been shown to be adversely affected by mycotoxins. Calcium depletion and other physiological abnormalities including death can result from ingestion of A. niger colonized feed due to the fungal production of oxalic acid or malformins (Austwick, 1965). Chicks and mice were killed after being fed with moldy soybeans and mice died after eating contaminated wheat containing isolates of A. niger (Semeniuk, et al., 1971). The cause of death was assumed to be toxicosis, but pathogenicity was observed in some cases. Some of the malformins are currently under development for use as insecticidal compounds (Wicklow, 1991). A. niger has been isolated from 37 genera of plants (Farr et al., 1989). Often these reports involve coisolation with other perhaps more destructive microorganisms or isolation from a stored plant product. There are reports of A. niger being a plant pathogen in peanuts (Jackson, 1962). Apparently, A. niger can induce a crown rot of peanuts due to A. niger-infected seed under specific hot, humid growth conditions. The mycotoxins described above, namely oxalic acid, malformin A, and malformin C, have been shown to cause significant growth effects such as root curling and top deformation in plants (Anderegg et al., 1976). A. niger can cause the rotting of numerous fruits, vegetables, and other food products, thus causing substantial economic losses due to spoilage. For example, black rot of onions associated with A. niger is responsible for serious losses of onion bulbs in the field and in storage. There are also reports of A. niger-induced spoilage of mangos (Prakash and Raoof, 1989), grapes (Sharma and Vir, 1986), and tomatoes (Sinha and Saxena, 1987). Members of the Aspergillus genus are well known as biodeteriogens (organisms that cause deterioration of materials). For example, A. niger causes discoloration and softening of the surface layers of wood, even in the presence of woodpreservatives. A. niger also causes damage to raw cotton fibers and other cellulosecontaining materials, as well as to tanning liquors used in the tanning of hides and leather. It can also attack plastics and polymers such as cellulose nitrate, polyvinyl acetate and polyester-type polyurethanes (Thomas, 1977). A. niger is also the major spoilage isolate on bakery products such as English style crumpets (Smith et al., 1988). One set of major concerns for environmental hazard is, like that for human hazard, associated with mycotoxin production. Toxins from A. niger may affect other vertebrates and plants as well. There is one early report of crown rot of peanuts by A. niger under specific growth conditions. However, it is not a significant pathogen in the environment. In addition, A. niger is one of many commonplace spoilage-associated fungi, which can cause severe economic effects. Aspergillus niger is considered a Class 1 Containment Agent under the National Institute of Health (NIH) Guidelines for Recombinant DNA Molecules (U.S. Department of Health and Human Services, 1986). In Europe, Aspergillus spp. are treated as low-risk-class microorganisms, i.e., category 2 of the European Federation of Biotechnology (Frommer et al., 1989) or category 1 on the OECD containment scale. Category 1 of the European Federation of Biotechnology scale includes organisms deemed harmless, which can be grown under good industrial large scale practices (GILSP), while category 2 organisms like Aspergillus require more stringent containment. No data were available for assessing the release and survival specifically for fermentation facilities using A. niger. Therefore, the potential worker exposures and routine releases to the environment from large-scale, conventional fermentation processes were estimated on information available from eight premanufacture notices submitted to EPA under TSCA Section 5 and from published information collected from non-engineered microorganisms (Reilly, 1991). These values are based on reasonable worst-case scenarios and typical ranges or values are given for comparison. During fermentation processes, worker exposure is possible during laboratory pipetting, inoculation, sampling, harvesting, extraction, processing and decontamination procedures. A typical site employs less than 10 workers/shift and operates 24 hours/day throughout the year. NIOSH has conducted walk-through surveys ofseveral fermentation facilities in the enzyme industry and monitored for microbial air contamination. These particular facilities were not using recombinant microorganisms, but the processes were considered typical of fermentation process technology. Area samples were taken in locations where the potential for worker exposure was considered to be potentially greatest, i.e., near the fermentor, the seed fermentor, sampling ports, and separation processes (either filter press or rotary drum filter). The workers with the highest potential average exposures at the three facilities visited were those involved in air sampling. Area samples near the sampling port revealed average airborne concentrations ranging from 350 to 648 cfu/m3. Typically, the Chemical Engineering Branch would not use area monitoring data to estimate occupational exposure levels since the correlation between area concentrations and worker exposure is highly uncertain. Personal sampling data are not available at the present time. Thus, area sampling data have been the only means of assessing exposures for previous PMN biotechnology submissions. Assuming that 20 samples per day are drawn and that each sample takes up to 5 minutes to collect, the duration of exposure for a single worker will be about 1.5 hours/day. Assuming that the concentration of microorganisms in the worker's breathing zone is equivalent to the levels found in the area sampling, the worst-case daily inhalation exposure is estimated to range up to 650 to 1200 cfu/day. The uncertainty associated with this estimated exposure value is not known (Reilly, 1991). 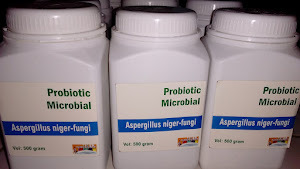 Aspergilli are among the fungi most frequently isolated from soils and have been found to rapidly colonize and degrade easily available organic matter. The abundant asexual spores produced within the conidiophores are resistant to many environmental stresses which enables the organism to survive during inactive periods (Atlas and Bartha, 1981). Although no specific data comparing the survivability of industrial and wild type strains were available in the literature, the above characteristics indicate that released strains are likely to survive outside of containment (Versar, 1992). Estimates of the number of A. niger organisms released during production are tabulated in Table 1 (Reilly, 1991). The uncontrolled/untreated scenario assumes no control features for the fermentor offgases, and no inactivation of the fermentation broth for the liquid and solid waste releases. The containment criteria required for the full exemption scenario assume the use of features or equipment that minimize the number of viable cellsin the fermentor off-gases. They also assume inactivation procedures resulting in a validated 6log reduction of the number of viable microorganisms in the liquid and solid wastes relative to the maximum cell density of the fermentation broth. Specific data which indicate the survivability of A. niger in the atmosphere after release are currently unavailable. Survival of vegetative cells during aerosolization is typically limited due to stresses such as shear forces, desiccation, temperature, and UV light exposure. As with naturally-occurring strains, human exposure may occur via inhalation as the organisms are dispersed in the atmosphere attached to dust particles, or lofted through mechanical or air disturbance. Air releases from fermentor offgas could potentially result in nonoccupational inhalation exposures due to point source releases. To estimate exposures from this source, the sector averaging form of the Gaussian algorithm described in Turner (1970) was used. For purposes of this assessment, a release height of 3 meters and downward contact at a distance of 100 meters were assumed. Assuming that there is no removal of organisms by controls/equipment for offgases, potential human inhalation dose rates are estimated to range from 3.0 x 103 to 1.5 x 106 cfu/year for the uncontrolled/untreated scenario and less than that for systems with full exemptions. It should be noted that these estimates represent hypothetical exposures under reasonable worst case conditions (Versar, 1991). The concentrations of A. niger in surface water were estimated using stream flow values for water bodies receiving process wastewater discharges from facilities within SIC Code 283 (drugs, medicinal chemicals, and pharmaceuticals). The surface water release data (cfu/day) tabulated in Table 1 were divided by the stream flow values to yield a surface water concentration of the organism (cfu/l). The stream flow values for SIC Code 283 were based on discharger location data retrieved from the Industrial Facilities Dischargers (IFD) database on December 5, 1991, and surface water flow data retrieved from the RXGAGE database. Flow values were obtained for water bodies receiving wastewater discharges from 154 indirect (facilities that send their waste to a POTW) and direct dischargers facilities that have a NPDES permit to discharge to surface water). Tenth percentile values indicate flows for smaller rivers within this distribution of 154 receiving water flows and 50th percentile values indicate flows for more average rivers. The flow value expressed as 7Q10 is the lowest flow observed over seven consecutive days during a 10year period. The use of this methodology to estimate concentrations of A. niger in surface water assumes that all of the discharged organisms survive wastewater treatment and that growth is not enhanced by any component of the treatment process. Estimated concentrations of A. niger in surface water for the uncontrolled/untreated and the full exemption scenarios are tabulated in Table 2 (Versar, 1992). Since soil is the natural habitat for A. niger, long-term survival in the environment is expected. Human exposures via dermal contact and ingestion routes, and environmental exposures [i.e., to terrestrial, avian, and aquatic organisms (via runoff)] may occur at the discharge site because of the establishment of A. niger within the soil (Versar, 1991). Although direct monitoring data are unavailable, worst case estimates do not suggest high levels of exposure of A. niger to either workers or the public resulting from normal fermentation operations. In the previous sections, information regarding the potential exposures and hazards to workers, the general public, animals, plants and the environment was reviewed. This section serves to integrate this information to evaluate the potential risks associated with the industrial use of Aspergillus niger. Reports associating A. niger with infectious diseases in healthy individuals are uncommon, although A. niger is a recognized opportunistic pathogen. Given the relative infrequency of anecdotal reports and the frequency with which all humans are exposed to A. niger, both by ingestion and inhalation, the probability of colonization in immunocompetent individuals must be quite small. The probability of colonization in immunosuppressed people, however, is relatively high. Nevertheless, given the already ubiquitous presence of A. niger, the increased environmental burden of A. niger due to release from commercial facilities under conditions imposed by exemption criteria is probably negligible. Thus, it may be concluded that the use of A. niger in fermentation facilities is unlikely to increase the baseline risk of infection by A. niger. The primary hazard to humans and animals appears to be toxicity associated with the production of mycotoxins known as malformins. Concern is reduced due to available information on the relevant toxins. The higher values of toxicity formalformins A and C were determined by intraperitoneal injection, a route not considered to be environmentally relevant. Furthermore, data for toxicity via ingestion indicate that the toxicity is much lower by this route (Yoshizawa, 1975). This lower toxicity may be due to the destruction of the malformins, which are cyclic pentapeptides, in the gastrointestinal tract. A. niger metabolites have caused adverse effects in livestock. The prevalence of strains that can produce these mycotoxins is unknown. Thus, it is uncertain whether the release, via waste disposal or air emissions, of A. niger strains capable of producing mycotoxins will add to the environmental burden of mycotoxin producing strains. Significant environmental release of the mycotoxins themselves is unlikely if the commercial production takes place in a submerged fermentation system, since mycotoxins tend to be elaborated when A. niger is grown on solid substrates. However, some production of citric acid does take place on surface cultures, and mycotoxins may be produced. In addition, malformins are more likely to be produced in cultures at stationary phase, so that production control could limit the elaboration of these toxins. Selection of recipient strains known to be incapable of mycotoxin production or direct toxicity testing of production strains can address the concerns of possible mycotoxin elaboration during commercial production. Inactivation of mycotoxins by physical or chemical means prior to release of either the final product or the fermentation wastes may be another mechanism for reducing risk. It should be noted, however, that methods used to reduce levels of the microbial organism may not inactivate the mycotoxin produced. Mycotoxin production also seems to be a strain specific phenomenon. Incidents involving industrial strains associated with allergic reaction in workers are rare. The offending antigen also appears to be strain dependent. In general, A. niger has a documentable history of safe use. Additionally, exposure to workers and the public is limited with closed-system fermentation. A. niger is generally regarded as a strict saprophyte (Farr et al., 1989, Commonwealth Mycological Institute, 1966). As with effects on animals, the rare adverse plant effects seen appear to be strain specific. Since A. niger is ubiquitous in the environment, and the use of this organism in fermentation systems will not increase the low potential for adverse effects. Other problems with A. niger are related to its ability to grow on a variety of substrates, causing deterioration of materials on which it is growing. For example, A. niger causes economic losses due to spoilage of bakery, fruit and vegetable products. A. niger also damages surface layers of wood, raw cotton fibers and many other materials. However, because A. niger is already ubiquitous, the increased environmental burden of A. niger due to release from commercial facilities is probably negligible. Thus, the baseline risk of materials damage by A. niger will not be affected by the use of A. niger in commercial facilities. Aspergillus niger is worldwide in distribution and has been isolated from numerous habitats. Humans are continually exposed to A. niger spores and vegetative forms on foodstuffs and in the air. 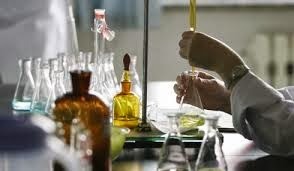 The vast majority of strains of A. niger, especially those used in industrial fermentation, have a history of safe use. While there are sporadic reports to the contrary, most isolates have not been documented to be serious pathogens of humans, animals or plants. Specific strains may produce certain mycotoxins or may elicit allergic responses among workers. Those limited instances of adverse effects seem to be associated with a limited number of strains. With proper characterization of industrial strains, use of those with potential for such effects can be avoided. AbdelHafez, S.I., A.A. Shoriet. 1985. Mycotoxin producing fungi and mycoflora of airdust from Taif, Saudi Arabia. Mycopathologia 92: 6571. Anderegg, R.J., K. Biemann, G. Buechi and M. Cushman. 1976. Malformin C, a new metabolite of Aspergillus niger. Jour. Amer. Chem. Soc. 98: 3653370. Austwick, P.K.C. 1965. Pathogenicity of Aspergillus species, pp. 82126. In K.B. Raper and D.I. Fennell,(eds. ), The Genus Aspergillus. Williams and Wilkins, Baltimore, MD. Barbesgaard, P. 1977. Industrial enzymes produced by members of the genus Aspergillus. In J.E. Smith and J.A. Pateman, (eds. ), Genetics and physiology of Aspergillus. Academic Press, New York. Bennett, J.E. 1979a. Aspergillosis, pp. 546-547. In P. Beeson, W. McDermott, and J. Wyngaarden, (eds. ), Cecil textbook of medicine, 15th edition. W.B Saunders, Philadelphia. Bennett, J.E. 1979b. Aspergillus species, pp. 2002-2008. In G. Mandell, R.G. Douglas, and J.E. Bennett, (eds. ), Principles and Practices of Infectious Diseases, John Wiley and Sons, New York. Bennett, J.E. 1980. Aspergillosis, pp. 742-744. In K.J. Isselbacher, R.D. Adams, E. Braunwald, R.G. Petersdorff, and J.D. Wilson (eds. ), Harrison's Principles of Internal Medicine, McGraw-Hill, New York. Bennett, J.W. 1985b. Taxonomy of fungi and biology of the Aspergilli. In A.L. Demain and N.A. Solomon, (eds. ), Biology of industrial microorganisms. Benjamin Cummings Publishing Co., Menlo Park, CA. Berry, D., A. Chmiel, and Z. Al Obaidi. 1977. Citric acid production by Aspergillus niger. In J.E. Smith and J.A. Pateman, (eds. ), Genetics and physiology of Aspergillus. Academic Press, NY. Betina, V. 1989. Mycotoxins. In Bioactive Molecules, Volume 9. Elsevier American Publishers, Oxford. Cole, R.J.. 1984. Screening for mycotoxins and toxinproducing fungi. In V. Betina (ed. ), Mycotoxins: Production, isolation, separation and purification. Elsevier Scientific Publishers, Amsterdam. Commonwealth Mycological Institute. 1966. Description #94. Aspergillus niger rot of onions. Curtis, R.W., W.R. Stevenson, and J. Tuite. 1974. Malformin in Aspergillus niger infected onion bulbs (Allium cepa). Appl. Microbiol. 28: 362365. Dykewicz, M.S., P. Laufer, R. Patterson, M. Roberts, and H.M. Sommers. 1988. Woodman's disease: Hypersensitivity pneumonitis from cutting live trees. J. Allergy Clin. Immunol. 81:455460. Edwards, J.H. and T.S. AlZubaidy. 1977. Medical aspects. In J. E. Smith and J. A. Pateman, (eds. ), Genetics and physiology of Aspergillus. Academic Press, NY. Finkelstein, D.B., et al. 1989. Protein secretion in Aspergillus niger. In C.L. Hershberger, S. Queener, and G. Hegeman, (eds), Genetics and molecular biology of industrial microorganisms. American Society for Microbiology, Washington, DC. Horn, B.W. and D.T. Wicklow. 1983. Factors influencing the inhibition of aflatoxin production in corn by Aspergillus niger. Can. J. Microbiol. 29:10871091. Jong, S.C. and M.J. Gantt, (eds.) 1987. Catalogue of fungi and yeasts, 17th edition. American Type Culture Collection, Rockville, MD. Kierownik. 1990. Pulmonary aspergillosis caused by Aspergillus niger. Pneumonol. Pol. 58: 328333. Kubicek, C. and M. Rohr. 1986. Citric acid fermentation. CRC Critical Reviews in Biotechnology 3(4):331373. Kubo, S. 1989. Changes in the specificity of blood groups induced by enzymes from soil fungi. Jour. Forensic Science 34(1):96104. Padhye, A.A. 1982. Fungi pathogenic to man and animals. In A. Laskin and H.A. Lechevalier, (eds. ), CRC handbook of microbiology, Volume II. CRC Press, West Palm Beach, FL. Prakash, O. and Raoof, M.A. 1989. Control of mango fruit decay with post harvest application of various chemicals against black rot, stem end rot and anthracnose disease. Int. J. Trop. Plant Dis. 6:99106. Raper, K.B. and D.I. Fennell. 1965. The genus Aspergillus. Williams and Wilkins Company, Baltimore, MD. Reilly,B. 1991. Analysis of environmental releases and occupational exposure in support of proposed TSCA 5(h)(4) exemption. Unpublished, U.S. Environmental Protection Agency, Washington, D.C.
Sayre, P. 1991. Justification for TSCA biotechnology rule preamble criteria relevant to 5(h)(4) microorganisms. Unpublished, U.S. Environmental Protection Agency, Washington, D.C.
Sharma, R.C. and D. Vir. 1986. Post harvest diseases of grapes and studies on their control with benzimidazole derivatives and other fungicides. Pesticides (Bombay) 20:1415. Sinha, P. and Saxena, S.K. 1987. Effect of treating tomatoes with leaf extract of Lantana camara on development of fruit rot caused by A. niger in presence of Drosophila busckii. Indian J. Exp Biol. 25:143144. Smith, J.P., S. Khanizadeh, F.R. van de Voort, et al. 1988. Use of response surface methodology in shelf life extension studies of a bakery product. 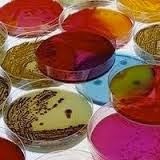 Food Microbiol (Lond) 5:163176. Thomas, A.R. 1977. The genus Aspergillus and biodeterioration. In J.E. Smith and J.A. Pateman, (eds. ), Genetics and physiology of Aspergillus. Academic Press, NY. Topping, M.D., D. Scarisbrick, C. Miucyzynska, E. Clarke, and E. Seaton. 1985. Clinical and immunological reactions to Aspergillus niger among workers at a biotechnology plant. Brit. Jour. Ind. Med. 42:312318. Ueno, Y. and I. Ueno. 1978. Toxicology and biochemistry of mycotoxins. In K. Uraguchi and M. Yamazaki, (eds. ), Toxicology, bochemistry, and pathology of mycotoxins. John Wiley and Sons, Halstead Press, NY. Walsh, T.J. and P.A. Pizzo. 1988. Nosocomial fungal infections: A classification for hospitalacquired fungal infections and mycoses arising from endogenous flora or reactivation. Ann. Rev. Microbiol. 42:517545. Ward, O.P. 1989. Fermentation biotechnology. Prentice Hall, Englewood Cliffs, NJ. Yoshizawa, T., Y. Tsuchiya, N. Morooka and Y. Sawada. 1975. Malformin Al as a mammalian toxicant from Aspergillus niger. Agric. Biol. Chem. 39:13251326. (1)Dynamac. 1991. Human health assessment of the possible risk for use Aspergillus niger as a recipient microorganism. Unpublished, U.S. Environmental Protection Agency, Washington, D.C.
(2)Kough, J. 1991. Environmental assessment for the use of A. niger as a recipient microorganism. Unpublished, U.S. Environmental Protection Agency, Washington, D.C.
(3)Versar. 1991. Screening level exposure assessment of Aspergillus species for 5(h)(4) exemption under the proposed biotech rule. Unpublished, U.S. Environmental Protection Agency, Washington, D.C.
(4)Dynamac. 1990. Organism Profile: A. niger. Unpublished, U.S. Environmental Protection Agency, Washington, D.C.